The main issue is how spam is handled. On TypePad, spam is a nightmare to deal with, whereas on WordPress spam is almost a non-issue (provided you are using the proper plug-ins like Spam Karma 2 for those running v1.5.x – or for those on WP 2.0, the included and revolutionary Akismet). Then there are all the other easily customizable things. Like the look and feel of your site. Ok, so TypePad’s is easier to control without having to know any code — but really limited in comparison to WP. As my comprehensive wordpress theme list shows, there are now 615 free wordpress themes out there, and growing! OVER SIX HUNDRED. That’s a staggering amount of templates to choose from to give your blog it’s own unique flair. And they are all customizable as well (if you know some css) – and with WordPress 2.0, themes can be made customizable within the admin area by their authors such that bloggers can customize areas of the theme at will without ever touching any code! Then there’s the issue of pagination. It’s quite simple – WordPress has it and TypePad doesn’t. By pagination, I mean those little links folks have grown accustomed to seeing on blogs that say “Next Page” and “Previous Page”. Don’t see them on this blog? That’s b/c TypePad doesn’t have that feature. TypePad bloggers get to choose the number of posts that will appear on their homepage, and after that – well, good luck navigating the blog b/c the only options are to do so through clicking on the categories or the monthly archives. TypePad doesn’t even have built-in search. And of course, WordPress does. (TypePad users should check out my article on how to make your typepad blog searchable). Tagging plugins (such as Jerome’s Keywords or the Ultimate Tag Warrior) that provide an easy way to automatically tag posts with keywords for social bookmarking systems such as Technorati, del.icio.us, and Flickr. This means more traffic for your blog. Tags also provide a whole new way for readers to interact with a blog. For example, Jerome’s Keywords makes it so “readers can click on a post’s keyword/tag link to see other posts with the same tag. It’s a simple but effective way of letting users find content that interests them.”. You can even create a local tag cosmos. There are just WAY too many ways in which plugins expand the functionality of WordPress way beyond the capabilities of TypePad to even discuss here. And from what I’ve been hearing about WP 2.0, which provides added hooks making it even easier for programmers to create even more fantastic plugins in the future, the possibilities seem limitless. Customization of where you ping to notify the world that you’ve updated your blog — WordPress has it, and (you guessed it) TypePad doesn’t. The workaround with TypePad if you want to use a service like pingoat, is to paste the URL for pingoat’s RPC server into the Trackback area for each and every post, each and every time you update it. And while this isn’t an issue for me in choosing a blogging platform, the issue of cost still needs to be brought up in any review. Again, it’s simple – WordPress is free, and TypePad isn’t. Of course, the full version of WP with all of it’s glory and customizable options (including access to all free themes and plugins) requires you to have a web hosting server with mysql support (which most do). Which means it really isn’t entirely free b/c now you’re paying for web-hosting. But if you do want entirely free, WordPress.com offers that — and while it’s a really dumbed down version of WP, it still offers some things that TypePad doesn’t, like sub-categories (however, it doesn’t allow you to run adsense ads on your site – you get what you pay for with wordpress.com). Then there’s ease of use when posting. When it comes to blogging editors, WordPress 2.0 finally has a built in WYSIWYG editor (something TypePad has had all along, and which I think every blogging tool should offer). The only problem is that WordPress’s wysiwyg editor is kinda buggy. See this problem that I encountered on my WordPress 2.0 test blog. However, I generally use an external windows client (BlogJet) to post to my blogs, which has it’s own WYSIWYG editor that’s better than both of them. But you also need to take speed into account when you talk about ease of posting. 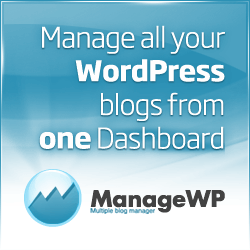 WordPress is very speedy when creating or updating posts. TypePad is very sluggish, especially if you are sending trackbacks to a large number of sites. Now there are a few areas in which TypePad sort of shines in comparison to WordPress, with the main one being maintenance and upgrading. I say sort-of, because sometimes TypePad has outages and when that happens there ain’t a thing you can do about it. On the other hand, every time WordPress comes out with an upgrade, it can sometimes be a major pain in the rear to install it, wreaking all sorts of havoc over your blog (although sometimes the upgrade process is totally smooth). All of that customizability that WP offers through themes, plugins, etc, makes for more things that can get broken every time there’s an upgrade. And sometimes it seems like those upgrades come every few days (like after the release of WordPress 1.5 when there were numerous minor point releases that were required updates because they pertained to security flaws which seemed to come out every few days!) And when there’s an upgrade, you’re the one that has to install it (unless you’re using a free wordpress host like blogsome, but then you’re at the mercy of them deciding which themes and plugins are available to you, and when and if they’re going to do an upgrade – right now they’re still using WP 1.5). When TypePad does an upgrade, it’s behind the scenes and you find out about it in the TypePad news (unless the upgrade wreaks havoc on their servers, in which case you get the joy of TypePad outages, the inability to post to your blog for sometimes days on end, etc – but ultimately they fix it, and it’s up to them, not you, to fix it). All of this makes me want to move this blog and all of it’s posts (and future posts to come) over to wordpress on my own server at emilyrobbins.com. Which brings me to my conundrum (and the possible state of limbo). Is it worth moving an existing site that gets over 1000 visitors a day and is ranked well in the search engines over to another server, URL, and blogging system entirely, possibly losing all of my backlinks and high pagerank that I spent so much time in generating? And if so, should I wait until WordPress 2.0 has ironed out some more of the kinks (there are currently problems with trackbacks, which I think is a rather major issue, among other things) before proceeding? WordPress 1.5.2 works great and is a very stable release. But I know I’ll eventually want to move to WordPress 2.0.x — it’s new features are just too enticing. And I also know that I do not want to have to deal with doing the kind of major upgrade that going from 1.5 to 2.0 entails on a website that is this important to me (I just don’t have the time deal with it in case something goes wrong with the upgrade, and there have been far too many reports of people having trouble with the upgrade for me to risk it). But I’m getting so damn sick of TypePad’s limitations, and even more so of managing all the spam (I have to have all of my trackbacks and comments moderated because of the vulgar spam that people try to put through a zillion times a day – an issue that I wouldn’t have to deal with if I were using WordPress instead). So what should I do? Should I hold off on doing any more posting until WordPress 2.0 comes out with a more stable version and then move the whole site over to WP 2? Should I just take the plunge now, and hope that the trackback issues don’t affect me too much until they are resolved? But what if I lose all of my traffic as a result?Should I just leave things as they are right now and stick with TypePad for ‘How to Blog’?? What to do? What to do?????? Update: I’ve taken the plunge now that WordPress 2.0.1 has come out and moved How to Blog over to http://www.emilyrobbins.com/how-to-blog/ so please update your bookmarks and RSS feeds!